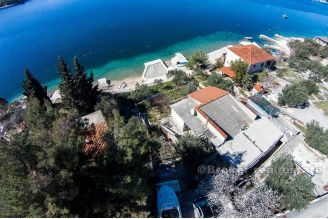 Newly built detached villa with pool, for sale, located in the first row by the sea,in front of beautiful sandy beach, with total residential area of 208 m2, on a plot of 522 m2. 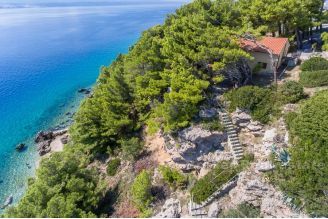 The villa is spread over two floors (ground floor and first floor). 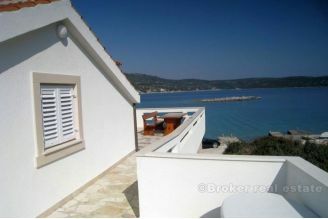 On the ground floor there is a garage, living room, kitchen with dining room, bathroom, pantry, and spacious terrace, while on the 1st floor there are 3 bedrooms (each with its own bathroom) and terrace with great sea view. 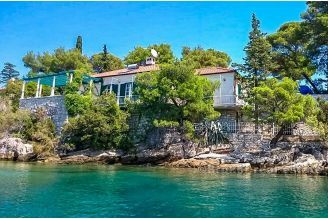 The villa is still in the process of final interior decoration, and in front of the villa a large swimming pool is under construction. 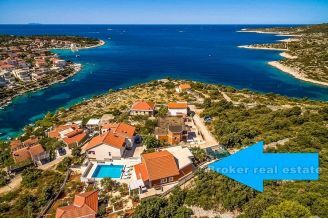 Given the quality of construction and the rarity of the location on which this modern villa is located, and the proximity of Sibenik as a larger town, this villa represents an extremely high quality investment as a vacation property, with great potential for tourist rental.